Nonstick cookware is coated with chemicals that prevent food from sticking to the pan. At high heat, the chemicals break down and are released into the air. Some of the chemicals are carcinogenic. Nonstick pans are not considered to be dangerous if not over-heated (keeping the temperature below 500 degrees), but it’s tricky to keep a pan from over-heating. The safest thing to do is to swap out your nonstick pans with cast iron or stainless steel. Looking for more info on the facts about nonstick cookware? Check out this article from Good Housekeeping. Put perishable items where you can see them, so they are not forgotten and wasted. 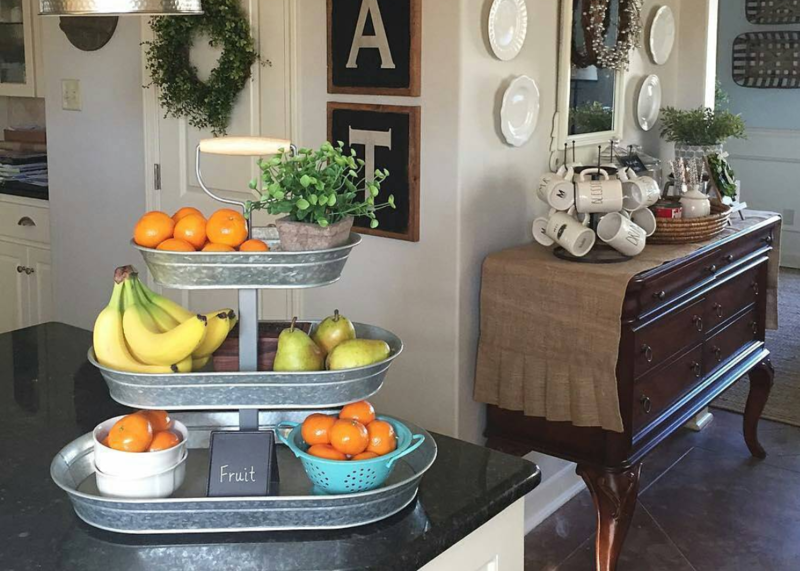 Displaying your fruit on your kitchen table or counter will make you more likely to grab them opposed to the ice cream in the freezer. Organize your refrigerator so that fresh, healthy foods are at eye level. Fresh veggies are expensive, so it’s a real bummer when you forget about the (now moldy) red pepper that got buried at the bottom of your fridge. We all know to avoid BPA plastics, but it turns out even BPA-free plastics can leech out harmful chemicals that may have adverse effects on our health. Switching to glass containers takes any worry out of using plastic. It also makes re-heating left-overs much easier since you can heat them up right in the glass container. You should never heat food in a plastic container, even if it says microwave safe. It has also been found that food stays fresh longer in a glass container compared to a plastic container. Read this NPR article for more on health concerns of plastic food containers. Bee’s wax wraps are a perfect alternative to plastic wrap and plastic sandwich bags. They cling well, wash easily and are reusable. Have a little bit of onion left, but feel guilty about saving it in a plastic bag that will be thrown away in a couple days? Remove the guilt by wrapping your food left overs in a bee’s wax wrap. As I mentioned before, all plastic can leech out chemicals that could be harmful to you, so the best thing to do is avoid using plastic whenever possible. If you haven’t yet, it’s time to swap out traditional cleaning products with natural cleaning products. Have you ever gotten a head ache or even shortness of breath when cleaning with traditional cleaners like Lysol and bleach? The chemicals in those cleaners are going right into your body and disrupting your health. You can buy environmentally friendly cleaners to help everyone in your house breathe easier. Safe, planet friendly cleaners are often labeled as biodegradable, phosphate-free or petroleum-free. You can also make your own cleaners with household ingredients like baking soda and vinegar. Check out some recipes here. Gas stoves produce carbon monoxide during combustion which means you are exposed to carbon monoxide every time you turn on your stove. The best way to combat this is to turn on your range hood before you light the burner. 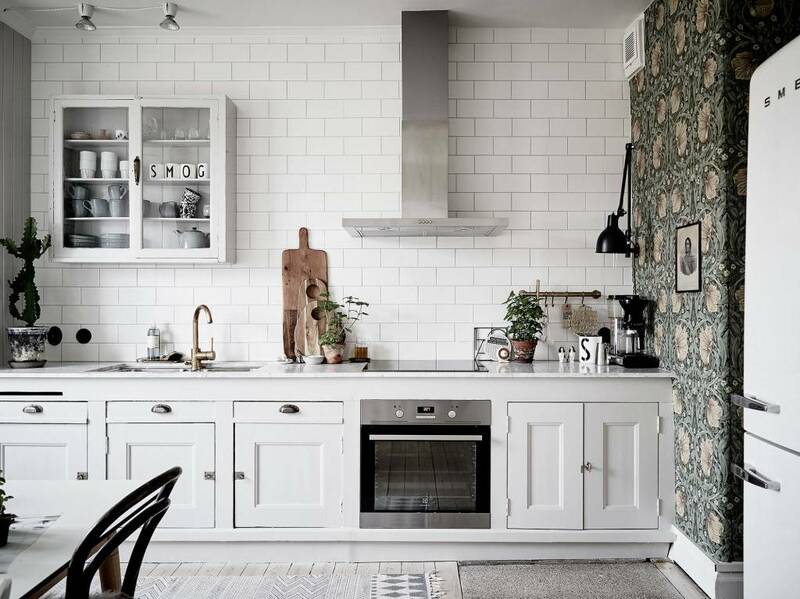 Range hoods are also important for removing smoke and grease from the air, both of which are health risks when inhaled. Range hoods also collect moisture from things like boiling water. Removing excess moisture in a kitchen is a must to avoid mold growth. 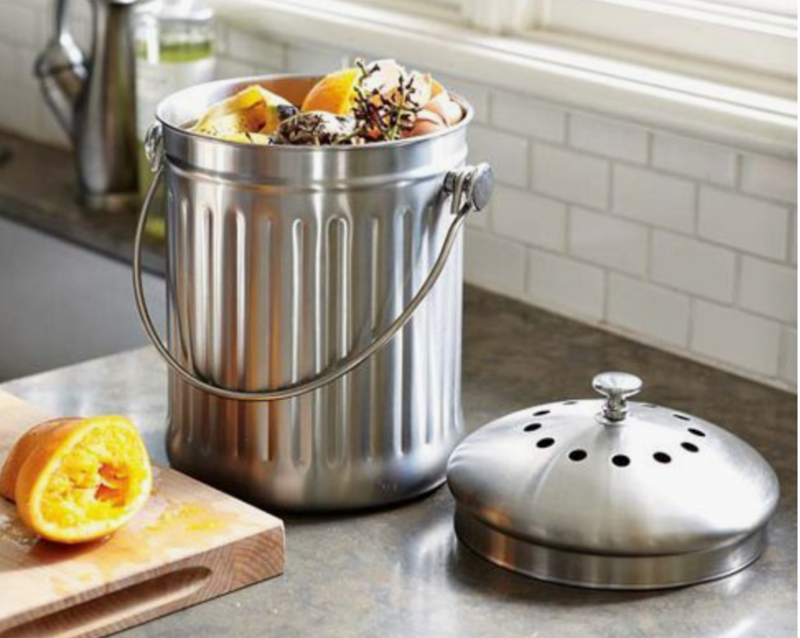 Create a designated area for a small compost bin. We use the Linkyo compost bin (similar to the picture above), and it's small enough to fit on the counter. This way it is easy to reach when chopping produce and easy to grab when it needs to be emptied into the outdoor compost pile. Composting veggie and other non-animal food scraps cuts down on landfill waste and creates healthy soil for gardening. Whether you have city water or well water, there might be harmful contaminants in your water. The best way to get healthy water is to use a water filter. This can be as simple as using a water pitcher with a built-in filter. You can also use a water filter that attaches to your faucet. Before remodeling our kitchen, we used a PUR faucet water filter that worked great and made our water taste much better. Wondering what could possibly be in your household drinking water? Find out here.